The Albany & Regional Volunteer Service (ARVS) will assist people in the community willing and able to help not-for-profit groups to carry out the valuable services they provide. 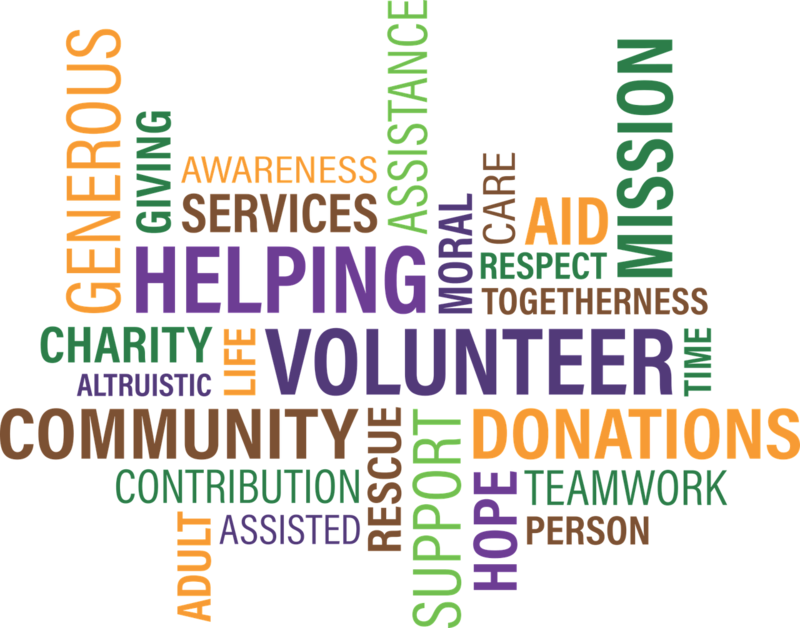 Volunteers are people who freely choose to share time and energies with the community for no monetary reward. They are aged from 15-95, come from a variety of backgrounds, and collectively have a vast array of skills. Volunteers with special needs are given the opportunity to participate in community life. Volunteers complement, but in no way compete with the work of paid people. Volunteers play an essential role in our society. Volunteers have many different motivations for participating in the community. The Albany & Regional Volunteer Service will maintain details of volunteer positions available. The Centre will obtain information about potential volunteers including details of experiences, skills and interests. This information will help match volunteers with community groups. Potential volunteers will be referred on to selected community groups. The Albany & Regional Volunteer Service will also work with community groups to ensure an appropriate environment exists for volunteers. Where needs are identified, appropriate training will be available to potential volunteers to better equip them in their volunteering experience. Contact the Albany & Regional Volunteer Service and we’ll happily arrange an appointment with one of our trained Volunteer Referral Officers (who themselves are volunteering their time for the benefit of the ARVS). A referral appointment will take about an hour. WHAT SHOULD I CONSIDER BEFORE VOLUNTEERING? When are you available to do volunteer work? What commitment can you make; short term, one off projects, once a week, long term etc. What type of volunteer work you would like to do? You need to consider what you would like to gain from volunteer work. Think about what interests, hobbies or skills you have or would like to develop. What locations are you willing to travel to the volunteer position? financial costs involved in travelling; petrol or fares. WHAT SHOULD I CONSIDER WHEN LOOKING FOR A SUITABLE VOLUNTEER POSITION? Is the organisation you wish to volunteer with a not for profit organisation or project (i.e. not a private company)? Does the organisation offer the sort of work that interests you and can you maintain or develop you skills? Does the organisation have a written volunteer policy explaining your rights and what you can expect from the organisation? Is it available for you to read? Does the organisation have a manager of volunteers or a contact person whose job is to support and supervise the volunteer program? What kind of voluntary work you would like to do? Are there any special requirements that may affect your volunteer work? What times are you available for volunteer work? Which locations or suburbs do you want to volunteer in? The Volunteer Referral Officer will attempt to locate one or two positions of interest to you. The volunteer referral officer will contact that organisation by phone and will arrange an appointment for you to speak to the organisationThe Volunteer Referral Officer will provide a referral document containing details of the position and contact information for the organisation. Remember – the decision to accept a voluntary position is up to you.